Dulmial is a village approximately a hundred miles south of Islamabad, in the Salt Range region. 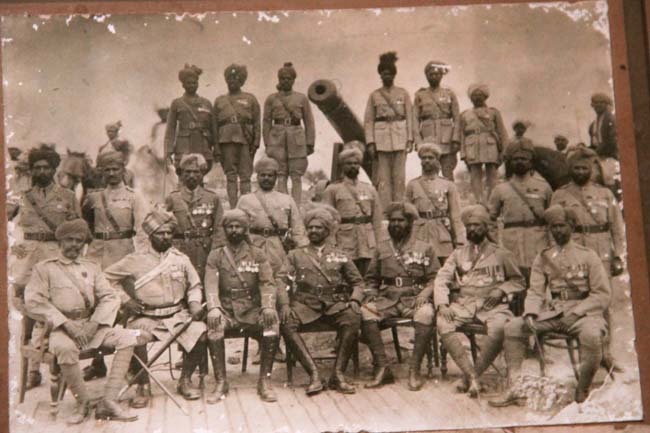 A century ago, the area was part of British India, which meant that its inhabitants were drawn into the Great War on the side of the Allies. A settlement steeped in military history, Dulmial sent 460 of its men to fight in the British Army, including both of Dr Malik’s great grandfathers. The largest single participation of any village in Asia. Nine gave their lives. In recognition of the significant military service and sacrifice, in 1925 the British Government offered Dulmial an award of their choosing. The man in charge of choosing was Captain Ghulam Mohammad Malik, the highest ranking and most decorated soldier of the village. The Captain was a man of great experience, having commenced his military life in the Derajet Mountain Battery and participated in Lord Roberts’ famous march from Kabul to Kandahar in 1880. His photograph and achievements are documented in the book ‘The History of the Indian Mountain Artillery’ by Brigadier-General Graham published in 1957. A career soldier, Captain Malik eschewed the British offers of land, money and water facilities, choosing instead to have Dulmial’s contribution recognised with the presentation of a cannon. The British agreed to this selection and provided Dulmial with a twelve pounder. The cannon itself was made at Carron ironworks, in Falkirk, Scotland in 1816. 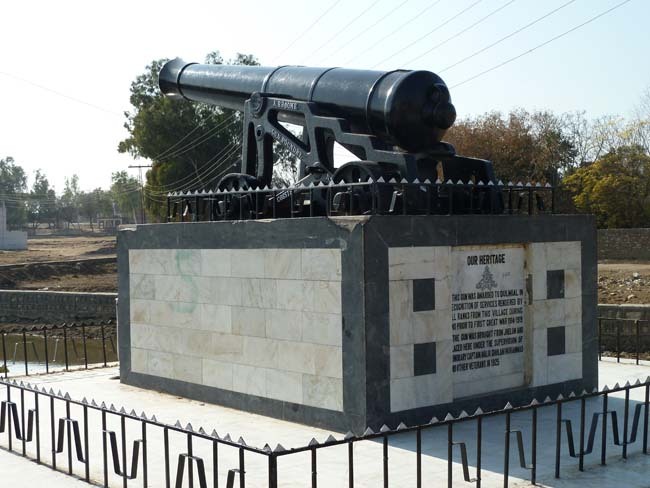 Its stand was built in Cossipore Gun Foundry, India, under the leadership of Captain A. Broome, in 1847. The gun was first collected from the First Punjab Regimental Centre in Jhelum, from where it was carried by train to Chakwal. There the gun was dismounted and loaded in a cart to be pulled by three pairs of oxen for the remaining 28 kms. The roads were semi-mountainous and the passage was difficult. It would take the ox carts two weeks to cover the distance. From 5 kms out, at ChoaSaiden Shah, the route became more difficult still and Dulmial had to dispatch five additional pairs of oxen to relieve the initial sixto complete the gun’s journey. 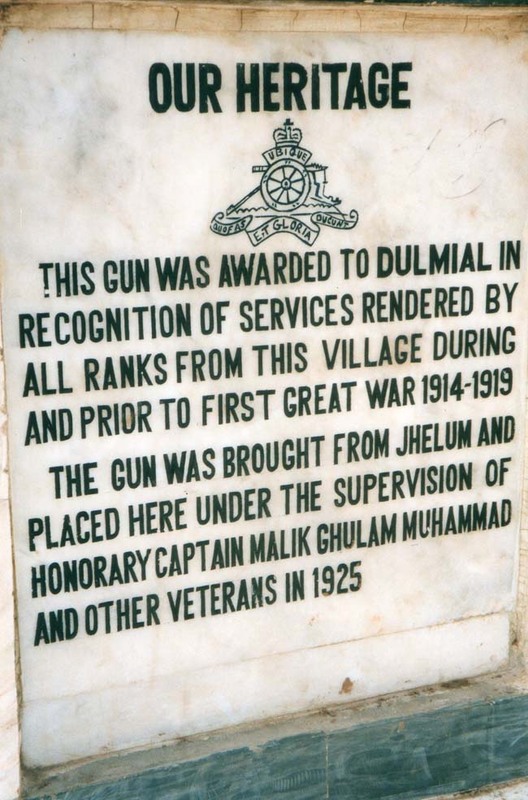 Dulmial is now known within Pakistan as the ‘village with the gun’, but is rather less well known in the UK. This is because little has been written or published about the village in English. 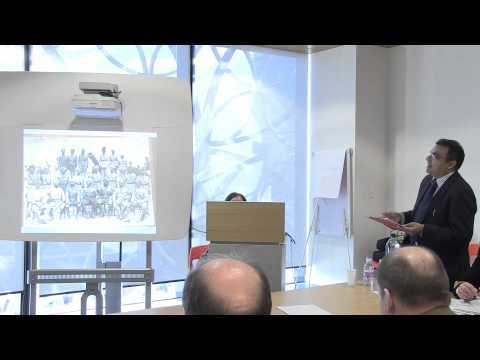 Dr Malik in collaboration with Michael Noble, The Centre for Hidden Histories, University of Nottingham aims to research the First World War history of the village as it played such an impressive part during that period. Since that time Dulmial has continued to produce many generations of high ranking, distinguished Army officers. 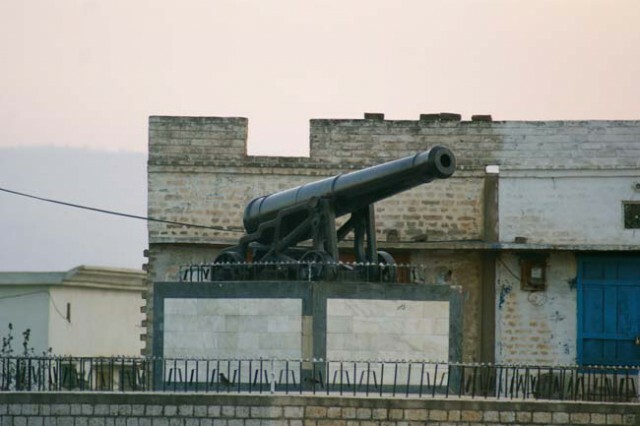 It is our intention to bring this hidden history to a wider audience and help to share the reasons of just what a nineteenth century Scottish cannon is doing in the Salt Range region of Pakistan. After informing the Foreign and Commonwealth Office in London of Dulmial’s significant history, several representatives of the village attended the First World War Centenary reception at the British High Commission, Islamabad, Pakistan, on 10th November 2014. This is a great honour and privilege for the inhabitants and worldwide descendants of Dulmial.